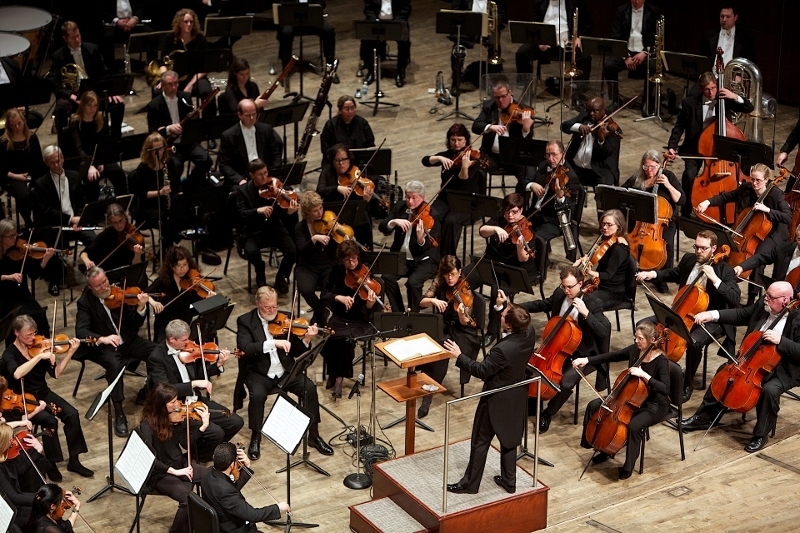 Save money on Grand Rapids Symphony 90th anniversary season tickets! 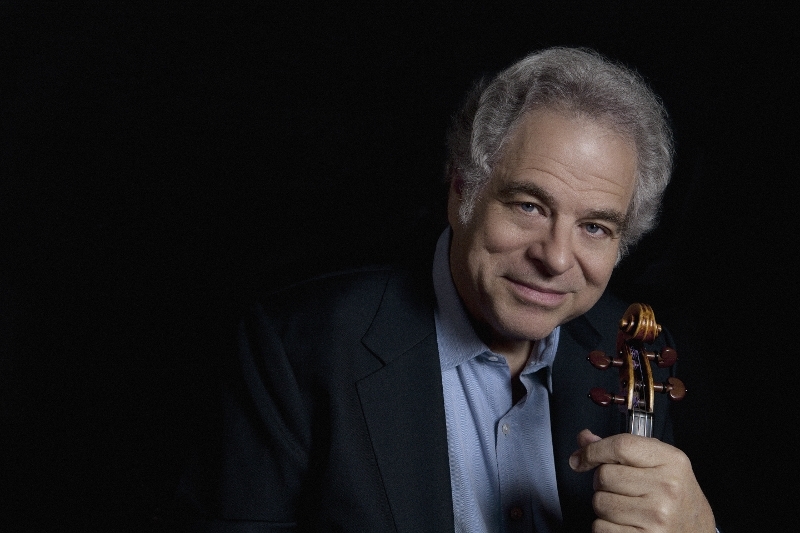 Grand Rapids Symphony season tickets are on sale now with select concerts, including the special events with Itzhak Perlman and Ingrid Fliter, on sale to subscribers at a substantial discount. Subscriptions are available at discounts of up to 27 percent off Classical Series tickets and 17 percent off Pops Series tickets for new subscribers. Current subscribers have until April 11 to renew their subscriptions, also at substantial discounts. Single tickets go on sale beginning July 29. Tickets are available at the Grand Rapids Symphony ticket office, 9 a.m. to 5 p.m. weekdays, at 300 Ottawa Ave. NW, Suite 100. Grand Rapids Symphony’s 90th anniversary season, by the numbers, could hardly be more impressive. The 2019-20 season opening in September welcomes Itzhak Perlman, one of the greatest violinists of our time, performing with the Grand Rapids Symphony for the first time in more than 35 years; and pianist Olga Kern, Gold Medalist at the 11th Van Cliburn International Piano Competition, making her Grand Rapids Symphony debut. 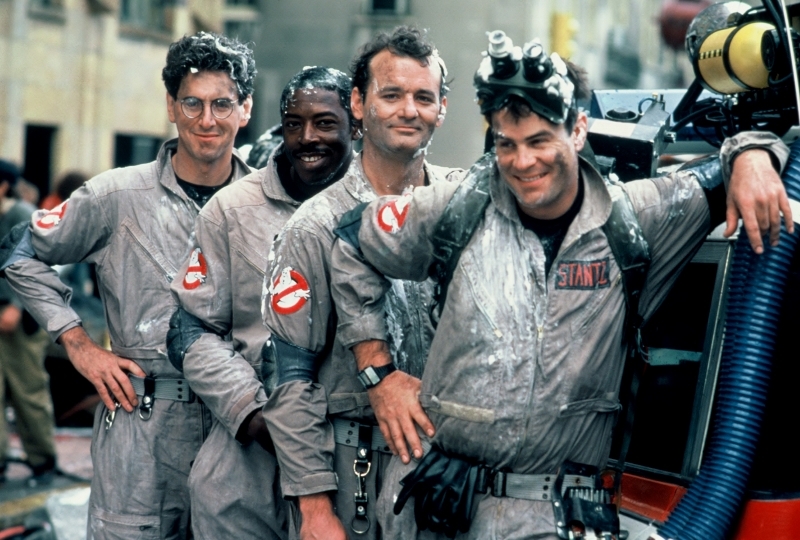 Movies plus live music include the 1984 hit film Ghostbusters” starring Bill Murray and Dan Aykroyd and the heartwarming 2009 Disney/Pixar film Up. A tribute to the Queens of Soul, Aretha Franklin, Tina Turner, Whitney Houston and more and a multimedia salute to The Beatles with rare and unseen photographs are part of the 90th anniversary season in Grand Rapids. Music Director Marcelo Lehninger will lead the orchestra in music including Tchaikovsky’s “Pathetique” Symphony No. 6, Schubert’s “Great” Symphony No. 9, Debussy’s Prelude to the Afternoon of a Faun, and Bela Bartok’s Concerto for Orchestra among masterworks by Brahms, Wagner, Stravinsky, Prokofiev and Shostakovich for the Richard and Helen DeVos Classical series. Six-world class pianists including Kirill Gerstein, the 2010 Gilmore Artist of the Irving S. Gilmore Keyboard Festival will play all five of Beethoven’s Piano Concertos over two consecutive nights. Five blockbuster movies including Harry Potter and the Order of the Phoenix and Harry Potter and the Half-Blood Prince plus an encore performance of Home Alone, all full-length films plus live music. Four guest conductors including Peter Oundjian, who recently stepped down as music director of the Toronto Symphony Orchestra, and JoAnn Falletta, music director of the Buffalo Symphony Orchestra. Three musical works composed by women from the 19th and early 20th centuries. Two Broadway stars, Liz Callaway and Ann Hampton Callaway, who appeared in their own hit cabaret show, Sibling Revelry. And one new work by 2018 ArtPrize artist Daniel Leo, commissioned by the Grand Rapids Symphony. Nearly 90 years ago, on the final Saturday in 1929, a group of 51 men and women took the stage at Central High School and gave Grand Rapids the best Christmas present of all, the gift of music. Karl Wecker, who taught at Grand Rapids Junior College, gave the downbeat to Franz von Suppé’s Poet and Peasant Overture, and the Grand Rapids Symphony was born. Beginning with Wecker through David Lockington, a total of 13 Music Directors have served the Grand Rapids Symphony from 1930 through 2016. 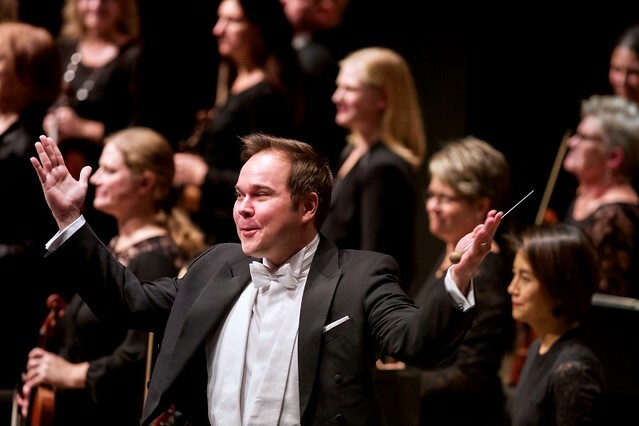 West Michigan’s biggest performing arts organization celebrates its 90th anniversary season and its fourth under its Brazilian-born conductor, the 14th Music Director in the history of the Grand Rapids Symphony. The 10-concert Richard and Helen DeVos Classical series opens in September with violinist Augustin Hadelich, possibly the most frequent guest soloist in Grand Rapids Symphony history, returning for his sixth appearance with the orchestra to play Beethoven’s Violin Concerto in celebration of the 250th anniversary of Beethoven’s birth in 2020. Olga Kern, who in 2001 became the first woman in more than 30 years to win the Gold Medal at the Van Cliburn International Piano Competition, will make her Grand Rapids Symphony debut as soloist in Tchaikovsky’s Piano Concerto No. 3 as part of an all-Tchaikovsky concert. Another Gilmore laureate, pianist Ingrid Fliter, will return to Grand Rapids to perform two piano concertos, one by Mozart and one by Schumann, on the same program. The special-event appearance by the 2006 Gilmore Artist will lead into the 2020 Gilmore Keyboard Festival. The Grand Rapids Symphony Chorus, directed by Pearl Shangkuan, will join the orchestra for a performance of Stravinsky’s “Symphony of Psalms” in the fall and Mahler’s Symphony No. 2 in the spring. The monumental performance of Mahler’s “Resurrection” Symphony will include two soloists and an ensemble of 100 musicians on stage plus two off-stage orchestras. Pianist Jeffrey Kahane, a favorite accompanist of Yo-Yo Ma, Dawn Upshaw and Joshua Bell and a conductor who presided over the Los Angeles Chamber Orchestra for 20 years, returns to Grand Rapids to play Mozart’s Piano Concerto No. 22. One of the greatest violinists of our time, Itzhak Perlman has performed for the inauguration of President Barack Obama, for a State Dinner at the White House honoring Queen Elizabeth II, and twice for St. Cecilia Music Center’s Great Artist Series including the series debut in 1987. But he hasn’t appeared with the Grand Rapids Symphony in more than 35 years. The Israeli-American violinist and conductor will be joined by his student, violinist Randall Goosby, to perform J.S. Bach’s Concerto for Two Violins. The six-concert Fox Motors Pops series welcomes Broadway and cabaret stars Liz Callaway and Ann Hampton Callaway for musical theater showstoppers from West Side Story to Wicked. Tony Award-nominee Liz Callaway is the singing voice of Anya/Anastasia in the animated film Anastasia and of Princess Odette in The Swan Princess. Ann Hampton Callaway, who wrote and sang The Nanny Named Fran, the theme song of the TV show The Nanny, has written songs for such artists as Barbra Streisand. Music from such popular films as Gone with the Wind, The Magnificent Seven, Rocky and The Pink Panther will feature film clips and still images in a show titled Hollywood Hits. In addition to Queens of Soul, which also celebrates the songs of Gladys Knight, Patti Labelle and Adele, Principal Pops Conductor Bob Bernhardt will lead the Grand Rapids Pops in Revolution: The Beatles Symphonic Experience with live music transcribed from the original Abbey Road master recordings plus video, animation and hundreds of rare and previously unseen photos from the archives of the Beatles official fan magazine, The Beatles Book Monthly. Associate Conductor John Varineau will be on the podium for several full-length films plus live musical accompaniment including not one but two films in the Harry Potter Film Concerts Series, Harry Potter and the Order of the Phoenix and Harry Potter and the Half-Blood Prince, plus an encore performance of Home Alone starring Macaulay Culkin. The three-concert Gerber SymphonicBoom Series will welcome back Cirque de la Symphonie for the 11th time and its 10th consecutive performance of Cirque de Noël, sponsored by Old National Bank. 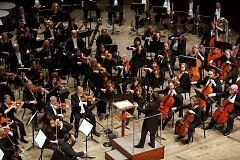 Grand Rapids Symphony’s own will be featured soloists during the 90th anniversary season. Principal cellist Alicia Eppinga will be soloist in Haydn’s Concerto for Cello No. 1 in C major in DeVos Hall. Principal bassoonist Victoria Olson, who was appointed in 2017, will make her solo debut with the orchestra to perform Mozart’s Concerto for Bassoon in B-flat Major in St. Cecilia Music Center. The Grand Rapids Symphony’s PwC Great Eras and Porter Hills Coffee Classics series in St. Cecilia will welcome marimbist Jisu Jung, winner of the Houston Symphony’s 2018 Ima Hogg Competition, as soloist in a contemporary Concerto for Marimba and Orchestra. Grand Rapids Bach Festival Artistic Director Julian Wachner, who will be in Grand Rapids next month for the 12th biennial Grand Rapids Bach Festival happening March 17-24, will return next season for a concert of Baroque music including J.S. Bach’s Brandenburg Concerto No. 3 and G.F. Handel’s Music for the Royal Fireworks. The lineup for the 25th anniversary season of the Grand Rapids Symphony's 2019 D&W Fresh Market Picnic Pops will be unveiled in March.